The New York Tribune, 12 July 1917, reported on the powerful effect that the ukulele can have. Miss Rosie O’Brien, just 17 years old, came under the spell of the ukulele that Joseph Gonsalves played. The two met at the concert hall at City Island, where young Joseph was performing with the Hawaiian orchestra. Rosie soon was missing from home, on her way with Joe to the Marriage License Bureau. The police were soon on their trail, but by the time they had caught up with her, she was already Mrs Gonsalves. 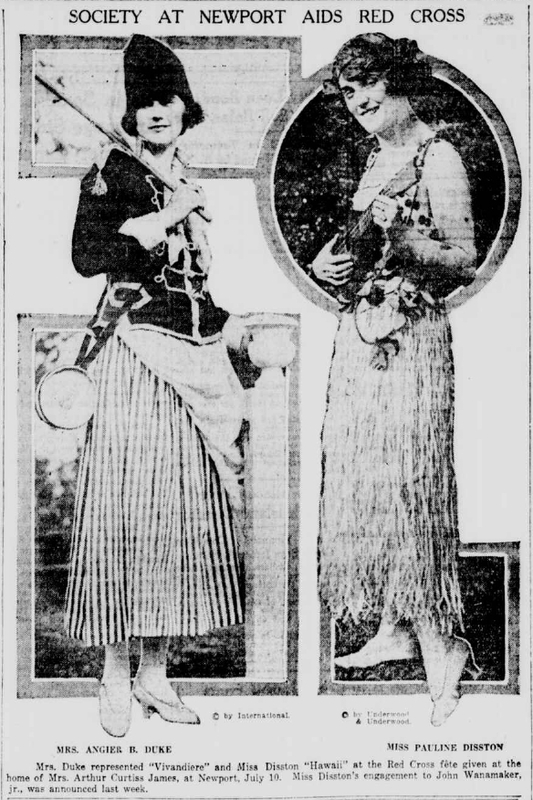 As if to confirm the ukulele’s power to attract, on the same page is a picture of ukulele toting Pauline Disston, who was recently engaged to John Wanamaker. So it works both ways, and others took the hint.